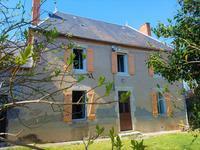 In MARCILLAT, lovely country home with outbuildings, standing on 790m2 of wooded land. 8 KM from EBREUIL. 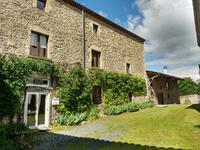 In the heart of the Combrailles, in a small hamlet, this house of approx 117 m2 of habitable . . .
Near Aveze. Large barn with planning permission on a plot of 1603m². Countryside views, close to ski resorts. Located close to 3 ski resorts this large barn has plans and permission to convert into . . .
Beautiful country house, with 3 bedrooms, with possibility of expansion. Stone house of 100 m², 3 bedrooms, open kitchen, dining room and a large living room, a . . .
Votre appartement proche du siège de Michelin et de la ligne de tramway dans Clermont-Ferrand. Discover a new residence on rue Henri Barbusse, close to the siege of Michelin and the tram . . . Located near Pionsat. 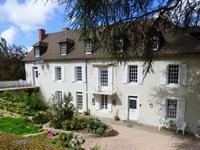 Beautiful renovated longère, guest cottage, garden and swimming pool. Stunning views. This beautiful detached renovated longère with four bedrooms en-suite and large living . . . This property facing Lake Chambon. 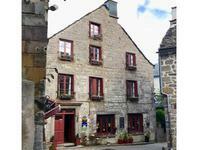 In the heart of the Sancy massif, in a tourist village, this property of 75 m², the business . . .
On 1655 m² this beautiful property of 213 m², 7 bedrooms and a swimming pool. Southeast of the Puy-de-Dôme department in the Livradois-Forez, this fully renovated . . . 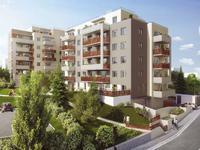 Your apartment 2P in Clermont-Ferrand, a site in the heart of the city between heritage and modernity. Emblematic site of the heart of Clermont-Ferrand, the Hôtel-Dieu enjoys the magnetism of the . . . Your apartment 3P in Clermont-Ferrand, a site in the heart of the city between heritage and modernity. 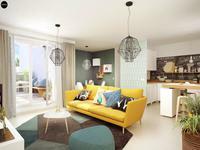 Beautiful 3-room apartment in the 'Les Hauts de L'Oradou' residence in Clermont-Ferrand. To inhabit the Oradou is to choose the right balance of life! Prized by young active people, . . .
Beautiful 4-room apartment in the 'Les Hauts de L'Oradou' residence in Clermont-Ferrand. Beautiful 2-room apartment in the 'Les Hauts de L'Oradou' residence in Clermont-Ferrand. Located at Montaigut en Combraille. Spacious 4 bedroomed country house with lake and numerous outbuildings. This spacious country house situated on the edge of a medieval town has been well renovated . . . Pretty house very well insulated, windows and windows with double glazing. Electric heating . 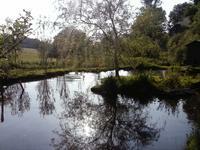 . .
Beautiful property of 430 m² located on 1,6 ha land with an adjacent river. Located in the heart of the Livradois-Forez Nature Park, this former 1830 house is completely . . .
Beautiful stone house at 1,000 meters above sea level, fully renovated, with 3 bedrooms and 2 bathrooms. On a plot of 1,000 m² without vis-à-vis in the heart of the park of volcanoes. Sunny from . . .
Near Aveze. Charming 4 bedroomed wooden chalet, with two further chalets on a plot of 4784m². Countryside views, close to ski resorts. Located close to 3 ski resorts this property offers 3 wooden chalets. One 4 bedroomed wooden . . . This apartment is sold fully equipped and furnished, it is ready for rental. Nestled in the . . . 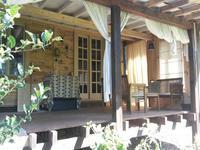 Comfortable country home with SPA in a beautiful enclosed park of 3500 M2, 7 KM from the Knife Capital of THIERS. This spacious country home comprises 9 rooms on 3 levels with 4 bedrooms, 2 bathrooms and a . . .
Large house in the centre of the village on 1 700 square metres of land with a beautiful dependency. Situated in Livradois-forez. This 2-bedroom house with central heating is habitable in a row . . .
Near Teilhet. Two bedroom farmhouse, enclosed private garden, outbuildings, woodland, countryside views. This lovely restored two bedroom farmhouse, with a private enclosed garden and outbuildings, . 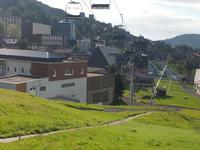 . .
Chastreix-Sancy family ski resort. Traditional 3 bedroomed wooden chalet located at the base of a ski resort. Located at the base of a family ski resort this 3 bedroomed traditional wooden chalet is in . . . In Livradois-forez, this beautiful house is completely renovated. Oil central heating, large . . .
Far from the madding crowd, you will find this outstanding property composed of a charming . . .
Beautiful stone house, completely renovated, with 4 bedrooms on a plot of 3868 m². Located in Livradois-Forez, this beautiful stone house is completely renovated. The windows . . .
Bookshop, stationery, tobacconists, products of Auvergne, facing the lake with lodging. 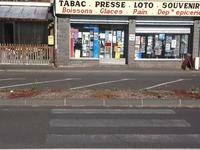 Cause retirement (business held 11 years), Tobacco business, Press, Loto, Souvenirs of 55 m2 . . . Very large family home with 7 bedrooms and 5 bathrooms. On a plot of 3740 m² this huge family building of 285 m² plus convertible attic of 120 m² has . . . Located near Saint Gervais d'Auvergne. Isolated traditional stone farmhouse with outbuildings on a plot of 2200m². This detached stone house located on the outskirts of Saint Gervais d'Auvergne has 2 bedrooms . . . Located at La Bourboule. Two separate studio flats on the top floor with views. Close to ski resorts. Two separate studio flats located at the top of a house. In need of updating, could make one . . . Superb house of 235 m², 7 bedrooms, 2 kitchens, and a swimming pool. This beautiful and large house is located in the Livradois-Forez south-east of the . . . Authentic property in the heart of the ''massif central''. 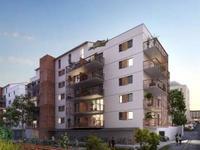 5 en-suite rooms, appartment and owners appartment. Close to ski resorts. Located close to 3 ski resorts this authentic property has a living area of 430 m2, . . .
Small cuvage of 54 m² largely restored, in a village near Vic le Comte. 3 kilometers from Vic Le Comte, this property is ideal for a first purchase or for a rental. . . .
Beautiful farmhouse with attached barn in a hamlet near Sainte Catherine. 5 minutes from shops this beautiful longère to renovate, has a large barn offering multiple . . . This stone property is located on a lake. It has a large car park and an independent housing . . .
Near Pionsat. Beautiful, well presented, 4 bedroom detached character village house with stunning views over the countryside. This charming 4 bedroom detached village house is on a plot of 2533m². Has many original . . .
Near Auzances. 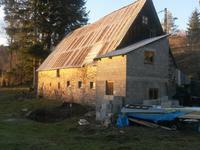 Stone house in need of renovating, with large barn on a plot of 8635m². This lovely detached stone house is located in a hamlet close to the village of Vergheas. It . . . Located at Aveze. Wooden framed chalet, 4 bedrooms, garage, mountain views, close to ski resorts. Wooden framed chalet with a contemporary feel on the outskirts of a village, in a peaceful . . .
A well maintained property suitable for a home or holiday home. Situated in a quiet location . . .
Down a small country lane a peaceful haven with adjacent stream. 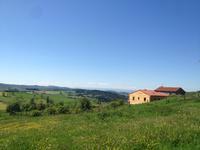 Private and quiet and only 7 km's from all amenities in Puy Guillaume, 20 kilometres from . . .
Nr Ebreuil. Beautiful, well presented, renovated 3 bedroom stone farmhouse with attached barns, small garden. Situated in a quiet hamlet. Renovated to a high standard. 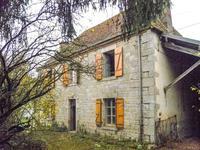 This charming 3 bedroom detached stone farmhouse offers good . . .
Large property with terrace overlooking the river Sioule with business potential. Vendor open to reasonable offers! 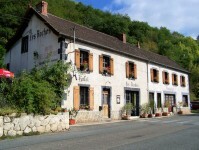 This fantastic property is situated 12 km out of St Eloy les Mines in the Auvergne and could . . . This charming 'coup de cœur' stone house is on a plot of 1860m². Large 4 bedroom house, 2 . . .
Close to Pionsat. Beautiful stone 3 bedroom house with outbuildings, garden, countryside views. Hamlet location. Beautiful stone house and barn, partially converted with room to have a spacious and . . . Spacious beautiful 6 bedroom stone farmhouse with barn, garage and landscaped garden. Situated in a small, quiet hamlet. This charming spacious 6 bedroom stone farmhouse is on a plot of 1802m². With a garage and a . . . Located at Vergheas. Lovely 4 bedroomed stone house in need of updating, with stone barns, garden. This lovely detached stone house located in a hamlet close to the village of Vergheas. In . . . 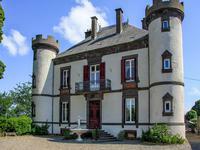 This beautiful renovated Chateau is situated in the heart of the village of Giat. Over 3 . . .